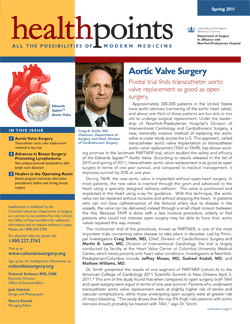 Aortic Valve Surgery: Transcatheter aortic valve replacement validated in key trial. Advances in Breast Surgery: New protocol prevents lymphedema after lymph node dissection. Healers in the Operating Room: Breast program welcomes alternative practitioners before and during breast surgery.